Body Beast: Does This Body Building Program Really Work? In the world of bodybuilding there is an endless list of products and programs supposedly designed to turn everyman into a Greek god or, if desired, a hulking beast. 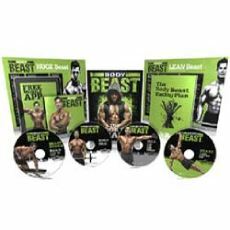 One of the latest of these is a DVD program created by Beachbody and presented by fitness guru Sagi Kalev. In our never ending search to explore this world and sort out the contenders from the pretenders we decided to take an in depth look at Body Beast to see which side of the coin it falls on. Dumbbells - A varied set of weights is required to perform the various exercise routines through the different stages of development as you progress the program. Weight Bench - As the program progresses into the use of heavier and heavier weights it is suggested that a high quality weight bench be purchased for use with this program. Also, be sure to follow instructions regarding the securing of the bench as it can be highly dangerous to use heavy weights on unsecured equipment. Pull up bar - As with the weight bench, a properly installed and secured pull up bar will be necessary to perform the exercise routines demanded by this fitness program. Caution is recommended as an improperly installed pull up bar could separate from the wall and cause serious injury. Resistance bands - Although this program is designed around the use of weights to achieve its goals, the use of resistance bands may be necessary for men and women whose condition may not be up to standards required for using weights from the beginning. The Build Phase - As with any high intensity bodybuilding program, this system starts slow and prepares the user for the tougher aspects of the later stages by focusing on basic strength and mental preparedness through the use of pep talks, warm up and cool down routines. Varied routines focus on one or two muscle groups per session. The Bulk Phase - Designed to put high levels of exertion on various muscle groups in order to obtain maximum lean muscle tissue growth, this phase of the program focuses on advanced techniques centered around the concept of high level burn and maximum rest. This creates a schedule where each muscle group is worked once a week followed by a six day rest period. The Beast Phase - This phase of the program relies on super intense workout routines designed to burn fat and build muscle rapidly during the final phase of the regimen. Caution should be exercised as injuries are more likely during this phase due to increased weight usage, nutritional and hydration issues and, as alluded to earlier, equipment failures in high stress conditions. Does Body Beast Really Work? Body Beast and its producers, Beachbody, claim that If you follow the workout program carefully with a good diet, Body Beast is really effective and can help you build lean muscle mass in 90 days. Knowing that, let's take a realistic look at how this program stacks up against the proven methods of bodybuilding. When you come right down to it in bodybuilding terms there are some basic, accepted facts and proven techniques to build lean muscle mass. The consensus of opinion gleaned from professionals is that, although the Body Beast program touches on many of these facts and techniques, it fails to incorporate them in a meaningful way which simply fails meet the criteria for producing the quantity of lean muscle mass that will lead to the type of gains promised by the program's producers. As stated at the beginning of this review, in the world of bodybuilding there are hundreds of products and programs that claim to be able to deliver weight gain of lean muscle mass, burning of unwanted fat and god-like physiques. The problem with most of these is that they seem to choose some credible aspect of a quality training program and then just try to fudge their way around the issue to make it seem that some relatively easy and inexpensive program that you can use at home is the answer that so many people just don't know about. In the end, that is what Body Beast seems to be. There's really nothing wrong with the program as far a training method is concerned, it's just that the recommended regimen does not fit into the guidelines of what a highly successful and well-recognized muscle building program looks like. So, when you look at the shortcomings of the program, the added expenses from the need to buy a substantial amount of equipment, the safety concerns that go with that and the generally negative user reviews it seems clear that Body Beast is not among the top contenders in this class. 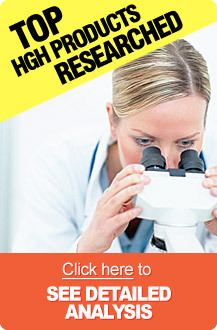 For more information on other options for getting the body you want, click here.